PARIS, December 4. /TASS/. Head of the Russian Orthodox Church, Patriarch Kirill of Moscow and All Russia, who is paying a visit to France has called on fellow countrymen abroad to preserve spiritual ties with their home country, the Russian language and culture. 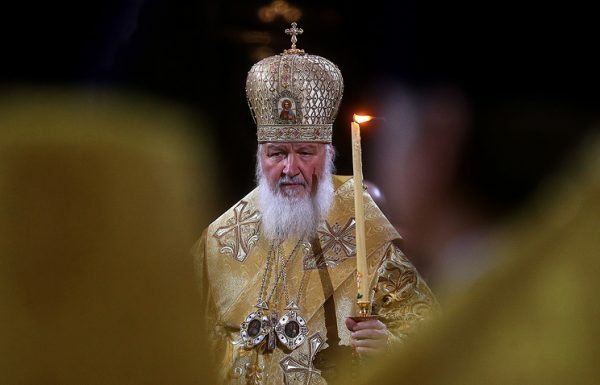 “May all Russian Orthodox Christians who, while being abroad, consider themselves members of the Church and go to the church, have this example of old emigration in front of them and by no means allow their children to lose their language and culture,” the patriarch said after an all-night vigil in the Russian Orthodox Church of the Three Hierarchs in Paris. “Keep the Orthodox faith in your hearts the way it was kept by the first generations of Russian emigrants,” the patriarch went on to say. “They lived in poverty, had many woes but preserved their faith selflessly. Not just the faith, but also their culture and language. I am sometimes amazed by the fact that today’s young people coming abroad who have not learned the local language properly yet begin to speak Russian with an accept using foreign intonation. The old emigration spoke Russian wonderfully. They were indeed patriots who preserved love for their home country, the Church, the people and preserved wonderful Russian culture.”.